Herbalista Expedition 2017 is well underway! I’ve packed up my kits and hopped the pond to Europe. This first month has been filled with a series of incredible conferences and gatherings, and I am blessed to be able to share these days with lovely plants and lovely people! 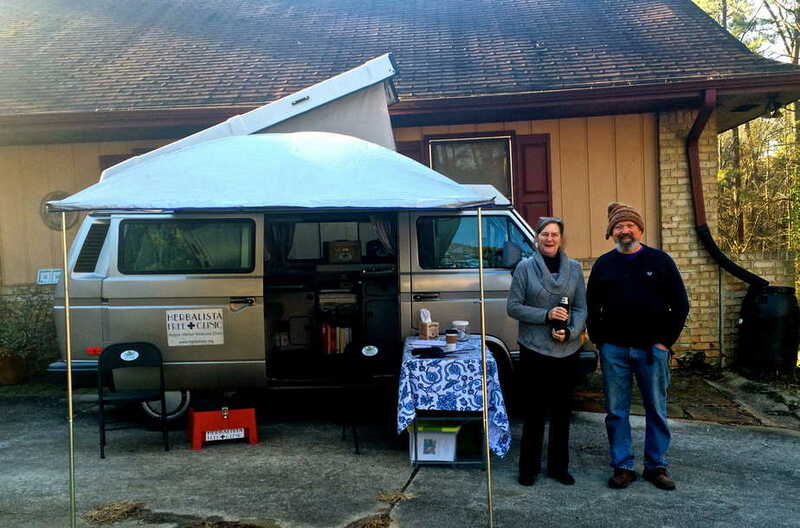 My first stop was HerbFeast, an annual Irish gathering celebrating all things herbal. 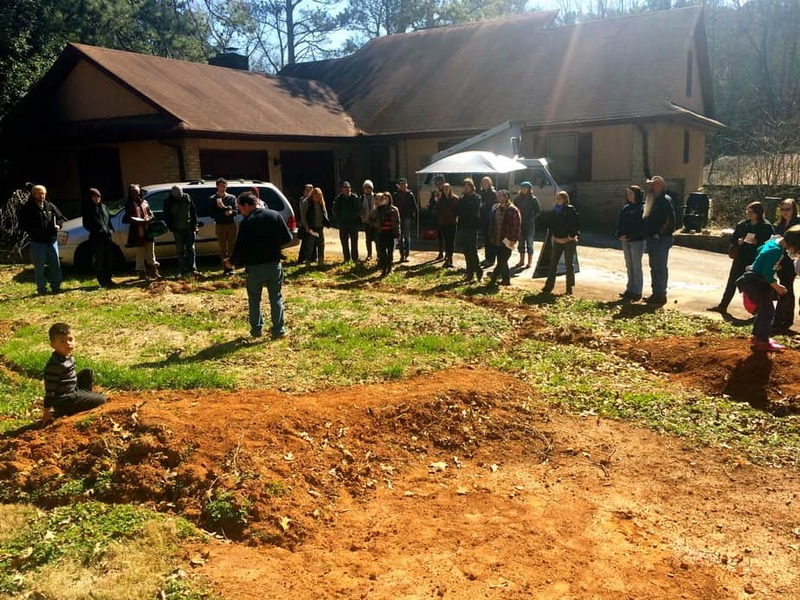 We feasted on the herbal knowledge of so many incredible teachers, including Kirsten Hale, Thomas Easley, and Fred Gillam (just to name a few.) 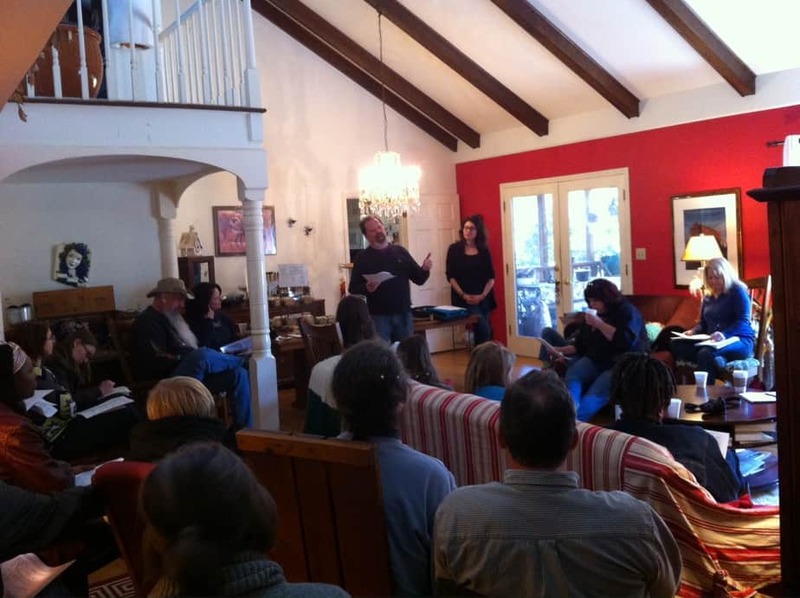 I was honored to co-facilitate a Pay-It-Forward Medicine Making Workshop with Rosemary Gladstar. We whipped up a couple batches of Fire Cider to be distributed in the Cork and Dublin communities. Next stop was the Radical Herbal Gathering in the hills along the Welsh and English border. 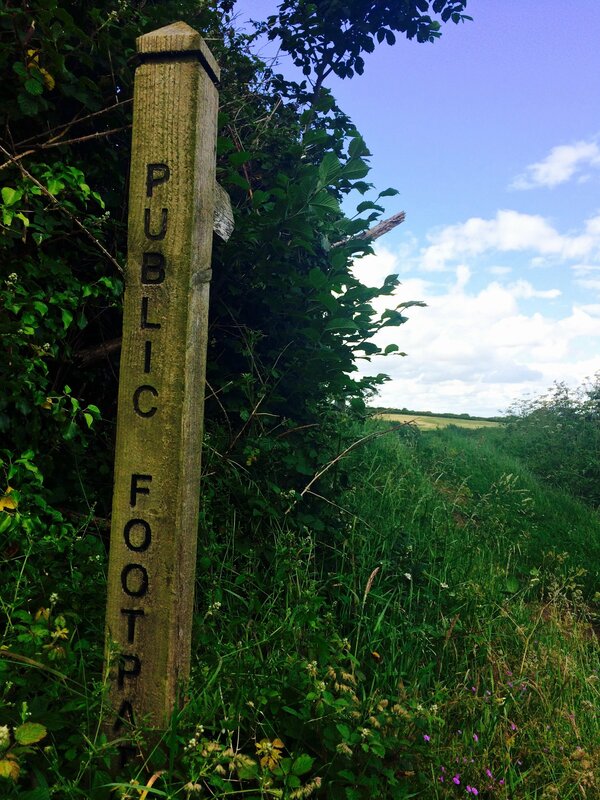 Now in its 5th year, this gathering has nurtured an incredible network of radical healthcare that has grown far beyond these Shropshire fields. Run entirely by volunteers, proceeds from the gathering go to support their Herbal Aid Fund, helping to seed out grassroots herbal and health related projects. If you want to see a glimpse into the journey so far, here is a link to the Herbalista Expedition 2017 album I’ve started on Facebook. Next week I will head to Ballinlough Castle for the Body & Soul Festival, about an hour from Dublin. There I will be leading a couple of Plant Rambles to raise funds for the newest addition to the mobile clinic scene. Which brings me to this very special announcement! 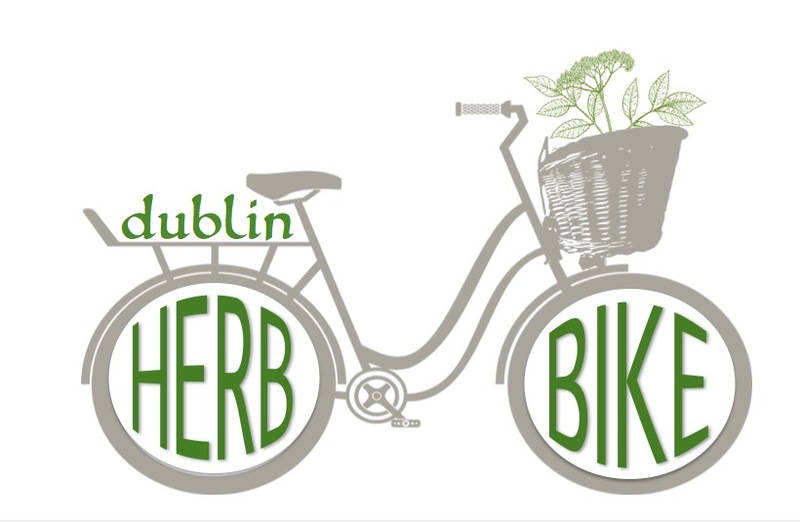 We are thrilled to announce that the Herb Bike will be hitting the streets of Dublin this summer! 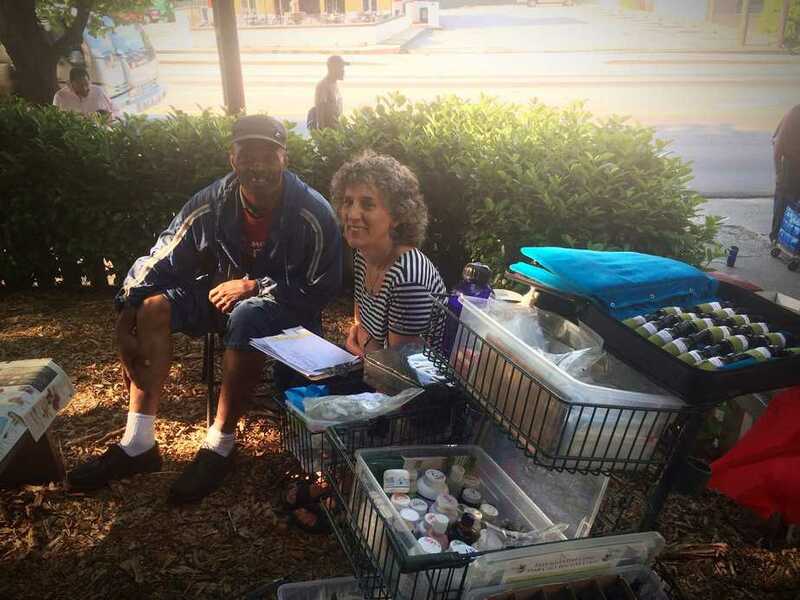 This mobile clinic will make stops around the Dublin area, providing herbal care and holistic support to those who need it most. This project will run hand-in-hand with Pay-it-Forward Medicine Making Workshops and with any luck will be a highly contagious way to spread the health! With talk of a sister Herb Bike project beginning out in Cork, Ireland, I’m thinking we may just have a mobile herb clinic epidemic on our hands! 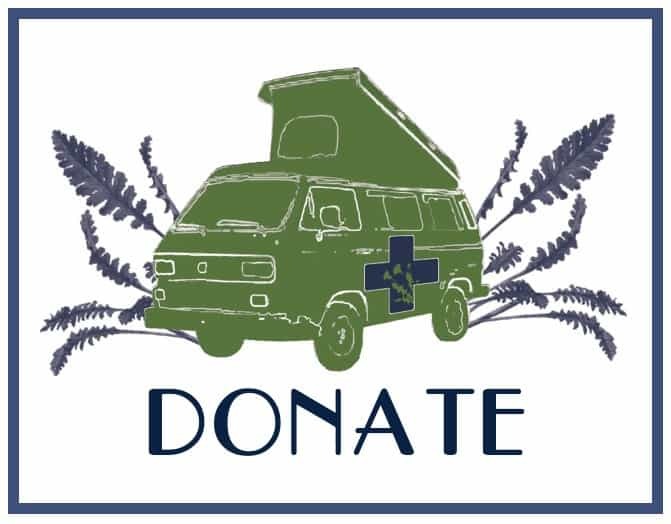 Please consider a small donation and help us put a little air in her tires and some herbs in her basket! Please click here to make a contribution. I want to thank everyone back in the ATL who is working so hard to keep the home fires burning. 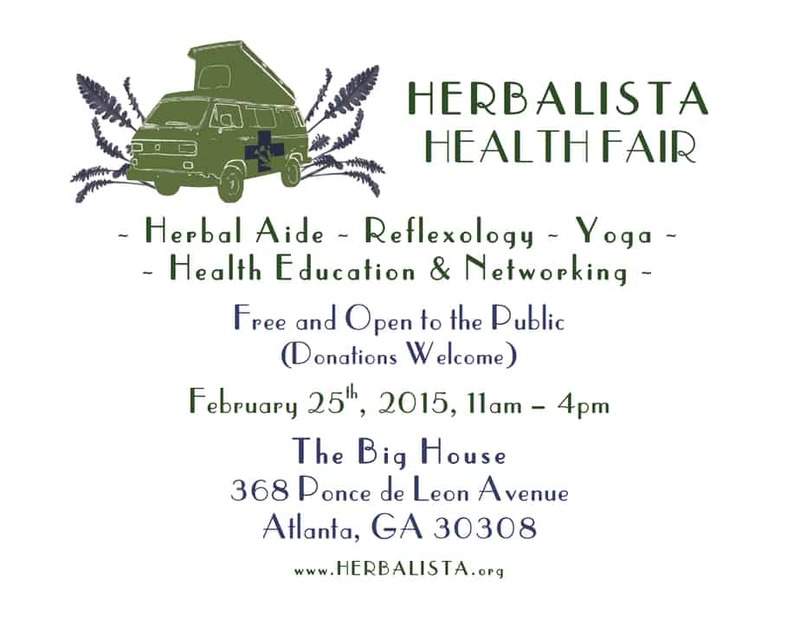 A big shoutout to the Health Fair Crew, the Harriet Tubman Footsters, and to the Herbalista Apprentices! The chance to travel, to study, to serve, and to teach stokes my own internal flame and I’m grateful for this opportunity. After 4 decades of service, the Open Door Community, home to the Harriet Tubman Foot Clinic, is closing its Atlanta house and relocating to Baltimore, MD. We will greatly miss the community that grew up around the Open Door. We will miss their leadership on important issues. We will miss their strong opinions that spoke truth to power. We will miss their welcoming hearts that built a more loving Atlanta. And so we found ourselves in search of a new home for our little clinic. We were fortunate to recently receive an invitation from Mercy Church, another community center dedicated to serving our friends on the street and in prison, to begin holding foot services in their Center. We are currently moving our supplies to their facility which is located just a couple of blocks away, and look forward to reopening the clinic in the next couple of weeks. More details to follow! Thank you all for your support during our transition. 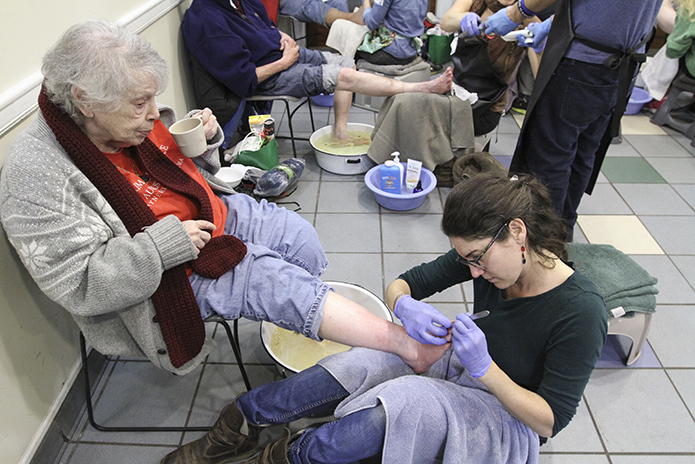 For the past 10 years, I have spent most Wednesday’s at the Open Door Community, be it an early morning Herb Bus Clinic in the back parking lot or staying late for the Harriet Tubman Foot Clinic, as we care for the feet of our friends on the street. These offerings were only a small part of what the Open Door has shared with Atlanta these many years. They also provide free women’s and conventional medical clinics. They host educational and radically inspirational events. They serve meals and facilitate showers. They stand up for our rights. They aren’t afraid to speak truth to power. They are willing to be arrested in defense the most vulnerable. They walk a path of loving devotion and I have been so blessed by their guidance and companionship all these years. Now after 40 years of service, the community has made the difficult decision to close the Open Door. Please follow this link to read the letter they published in their most recent edition of Hospitality. 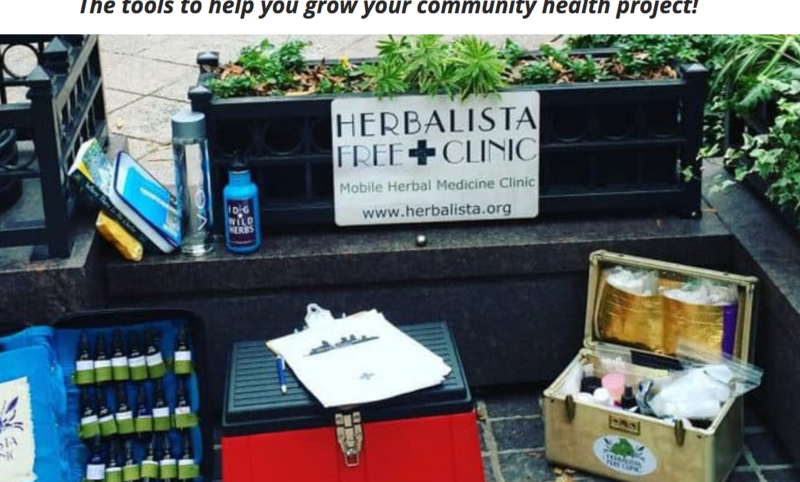 The Open Door hosted all three of Herbalista’s free clinics (the Herb Cart, the Herb Bus, and the Harriet Tubman Foot Clinic) and so this is a great loss to not only Atlanta, but to the Herbalista Health Network. 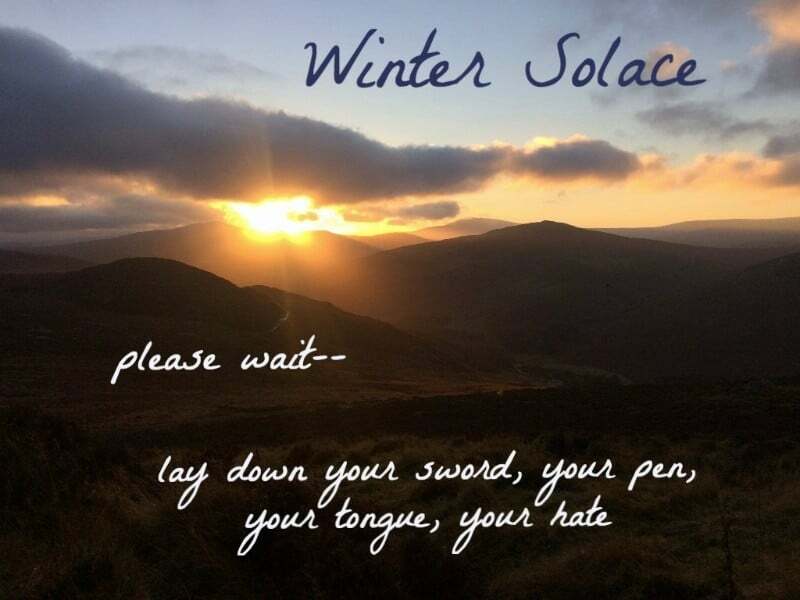 This summer I will spend several weeks traveling through Ireland, England, and France. Each year I try to take extended tours so I can expand my understanding of the world and of the different trends in healthcare. This might be what you could call my version of continuing education. Just finished my 2nd day working at First Aid Station in the refugee camp in Calais, France. 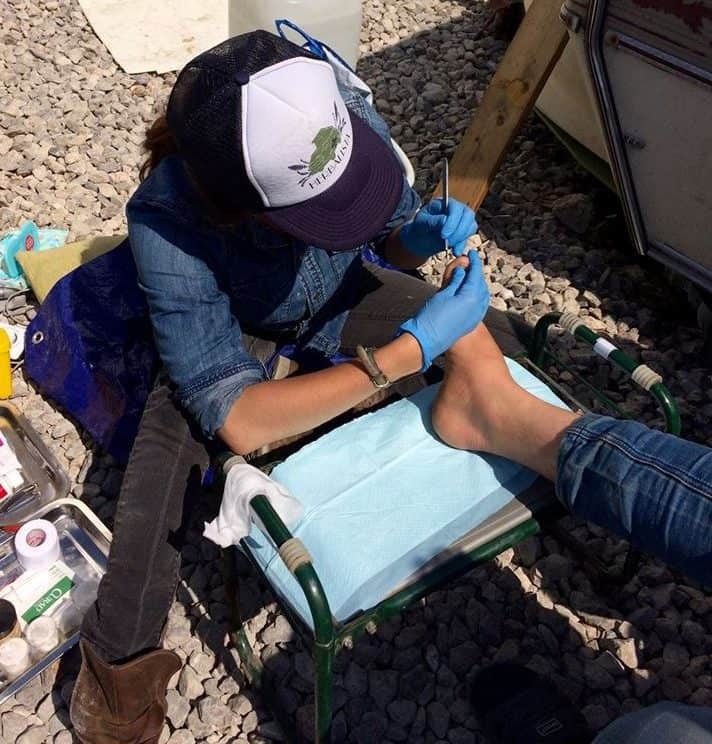 There is much need, and I am glad to be able to offer foot care and comfort here. I will try and prepare information to share with those who are interested in making this journey. Today was my last day working at the refugee camp in Calais. My feelings are jumping all over the place and I imagine that my relatively easy bus ride back across the channel to England will only compound it. Many of the men whom I treated were from Afghanistan and knowing how much US policy has impacted their lives and the lives of their families weighs heavily on me. For what little difference it makes in the larger picture, I am glad to have had the chance to offer them at least some comfort and care. It’s all about Atlanta today. So earlier I posted a link to our foraging database, for medicinal plants around the atlanta area. And now here is the link to a listing of Free and Low Cost Clinics in Atlanta. This list is by no means all-inclusive and is quite literally a work in progress. The information provided on this list has been culled from the internet, by word of mouth, and through personal contact. If I have personally interacted with a resource, it has been underlined, so I can better vouch for the information provided. Over time, we hope this list will grow and descriptions improve as we get better acquainted with the different providers and services. 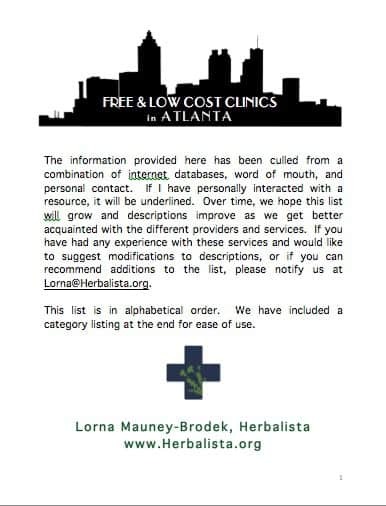 If you have had any experience with these services and would like to suggest modifications to descriptions, or if you can recommend additions to the list, please notify us at Lorna@Herbalista.org. You don’t have to live on a pristine mountainside or disappear into the wilderness to be an herbalist and have a meaningful relationship with your local plant medicine. In our megapolis, we are surrounded by plantain and dandelion growing through cracks in the sidewalk, mimosa trees sprouting in abandoned lots, and honeysuckle and kudzu clambering up telephone poles! Take a look around. Discover what’s growing in your yard ? 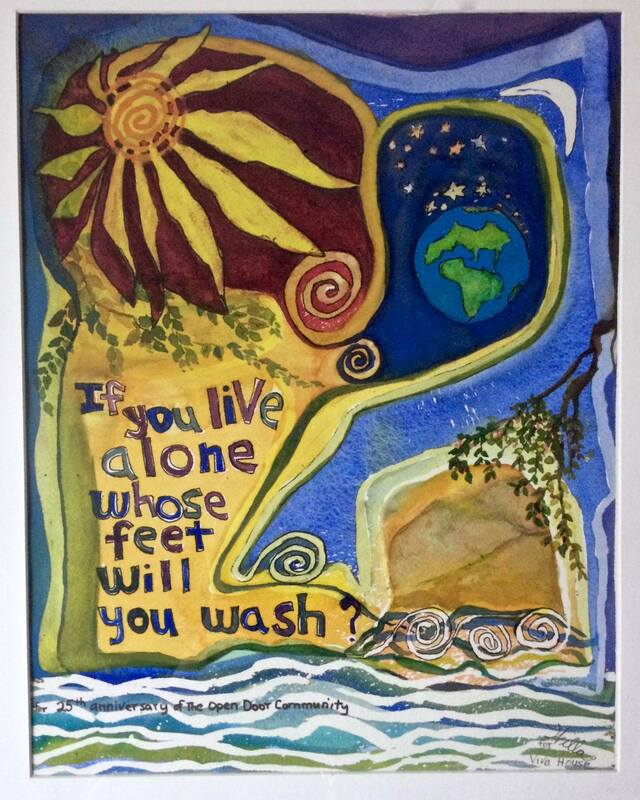 Who are your green neighbors? 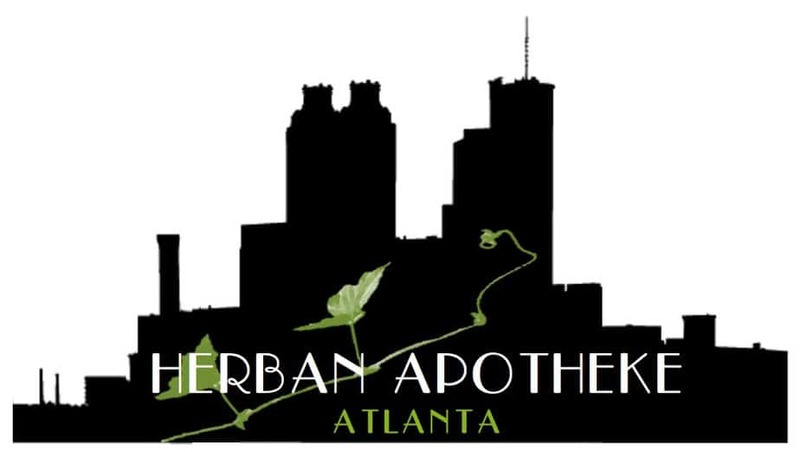 Check out our Forage page at the Herbalista website and see our month-by-month photo gallery and guide to the medicinals growing all around us in Atlanta. 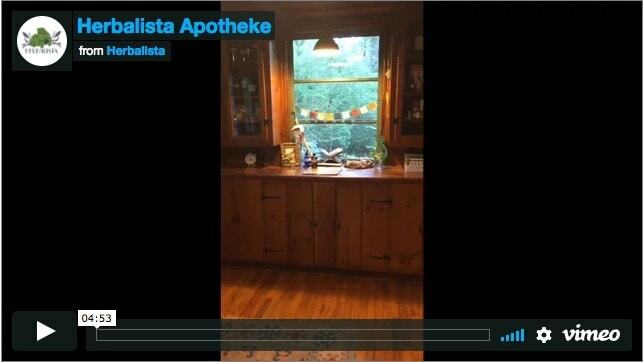 You’ll be surprised by our medicinal abundance.